SHAKOPEE, Minn. — Jan. 12, 2017 — RTI, a leading control and automation manufacturer for residential and commercial settings, today announced the company would mark its 25th anniversary at ISE 2017. Held Feb. 7-10 in Amsterdam, ISE will give attendees an up-close look at the latest lineup of products in stand 1-P58. RTI will also offer on-site training on the new Integration Designer® APEX programming software in multiple languages throughout the show. In celebration of its 25-year anniversary, RTI invites its dealers, partners, and friends to stop by at 4:00 p.m. on Tuesday, Feb. 7, to enjoy a free beer and meet the staff from RTI. At the show, RTI will spotlight Integration Designer APEX’s range of capabilities. Integrators will see how the software speeds up programming and installation while maintaining the ease of customization that RTI is known for. The software’s feature set includes automatic generation of the graphical user interface and programming, a new IR library, multi-room programming, advanced graphic resizing, making system design more efficient than ever before. RTI will also display its new range of control and audio distribution products, including the KX10 in-wall and CX10 countertop/under-cabinet user interfaces. Both feature a large fully customizable 10-inch LCD touchscreen, along with direct control options and HD video capabilities. The new CX10 is designed with flexibility in mind, enabling it to be set on a countertop or inverted and mounted under a cabinet with a wide tilt range to provide the best viewing angle. Both touchscreens double as high-resolution displays where users can watch HD video via the HDBaseT video input and also support video intercom functionality. The ZW-9 Z-Wave interface will also be on display, which enables simple and cost-effective monitoring and control of Z-Wave-enabled systems and devices via an RTI control system. Also, RTI will demonstrate a new video intercom capability for use with many of its user interfaces and third-party door stations. Part of RTI’s powerful lineup of audio distribution solutions, the new AD-16x 16×16 audio matrix switcher is the ideal solution for large, multi-zone audio installations. The AD-16x delivers complete audio management in every zone, including parametric equalizing, input gain adjustment, volume, and balance control — all configurable via a convenient web interface. Rounding out RTI’s control and automation ecosystem is the company’s two-way driver integration. Supporting the latest devices and equipment on the market, RTI integrates with a variety of third-party electronic systems, including recently released drivers for Bose, Bluesound, MuxLab, QMotion, and more. RTI will also offer training in multiple languages, including English, French, German, Polish, Italian, Spanish. These sessions will provide attendees with an overview of the new Integration Designer APEX programming software. A schedule of training times and languages will be posted in the RTI stand at the show. More information about RTI is available at www.rticorp.com. RTI delivers the connected world to users’ fingertips via advanced control and automation systems for residential and commercial applications. Perfected over 20 years, the company’s award-winning solutions let users take complete control over their home or business with ease, bringing together entertainment, distributed A/V, lighting, climate, security, and more into one simple user interface. For dealers, RTI’s systems are backed by the company’s renowned Integration Designer® programming software, which allows them to deliver a completely customized control experience and powerful third-party integration. 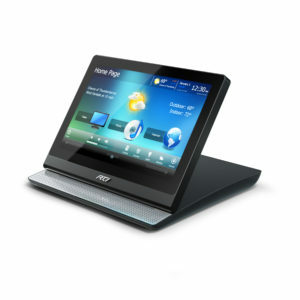 Guided by a passion for redefining the limits of engineering, the RTI portfolio of powerful, yet affordable, central processors, A/V distribution products, Apple® and Android™ apps, in-wall touchpanels, and beautiful handheld remotes deliver smart and reliable control in elegant form factors. Part of the RTI family of innovative control solutions, the Pro Control® line of easy-to-program handheld remote controls, control processors, and ProPanel® app are engineered with RTI’s advanced capabilities built-in and bring unprecedented value to professionally installed electronic systems. Together, RTI and Pro Control are setting the standard for enhanced, fully customizable control and automation solutions for every application. More information is available at www.rticorp.com and www.procontrol.com.